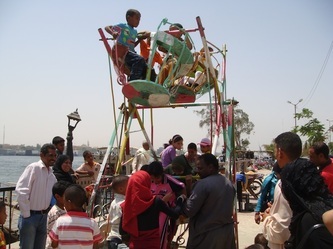 Today, just as last year, this Easter Monday brought together many people of various religions. 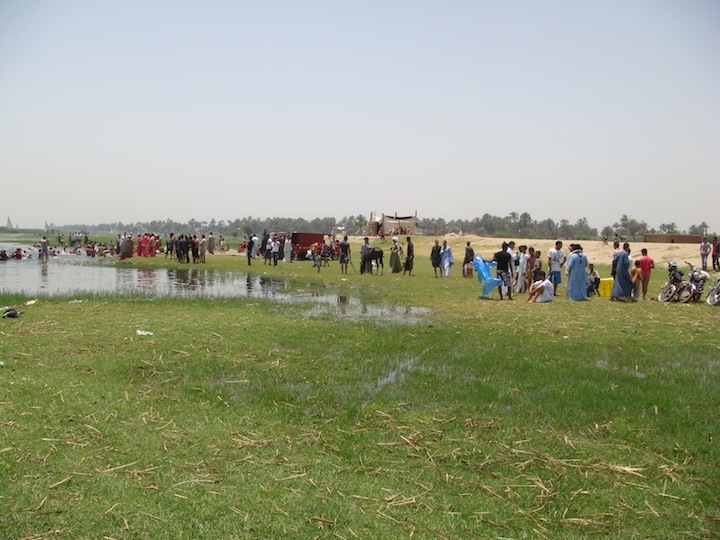 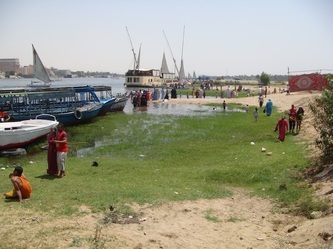 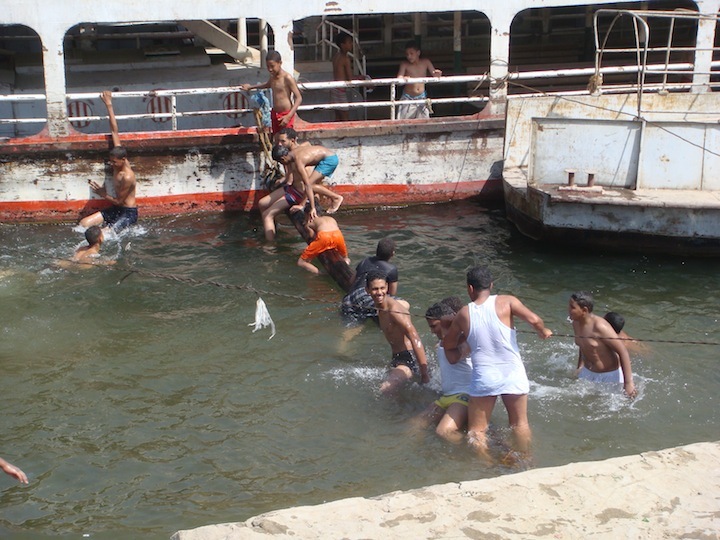 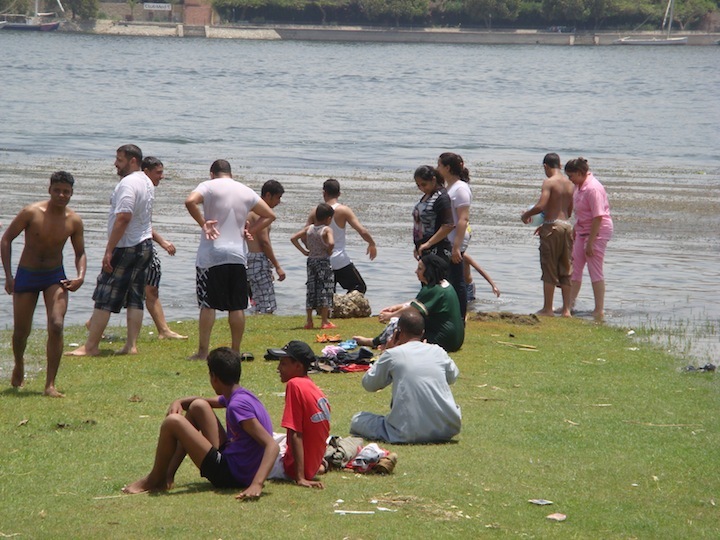 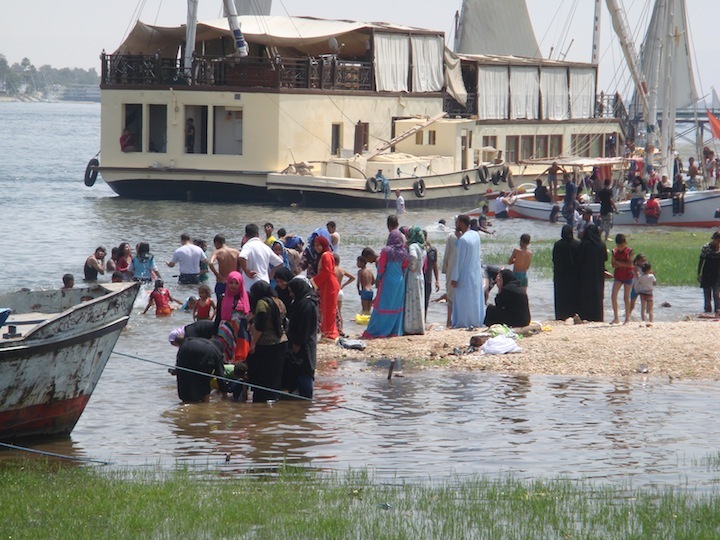 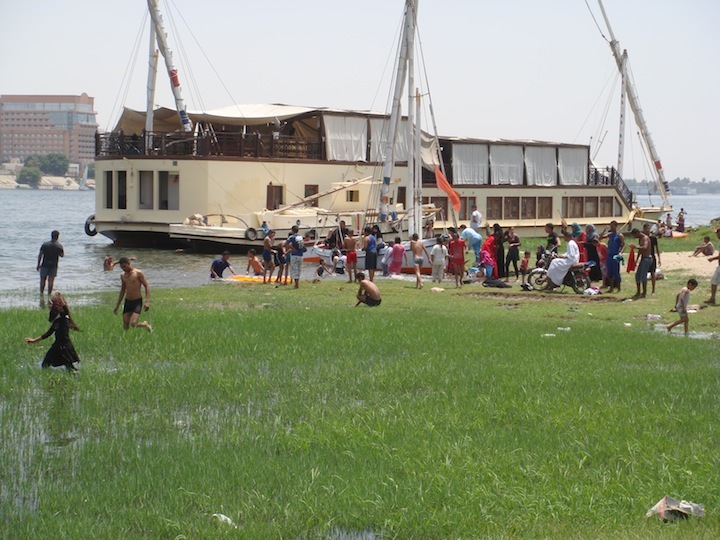 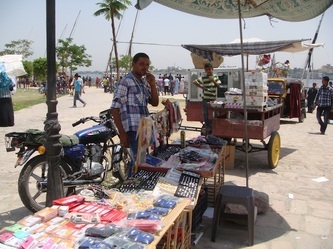 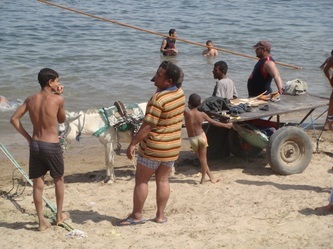 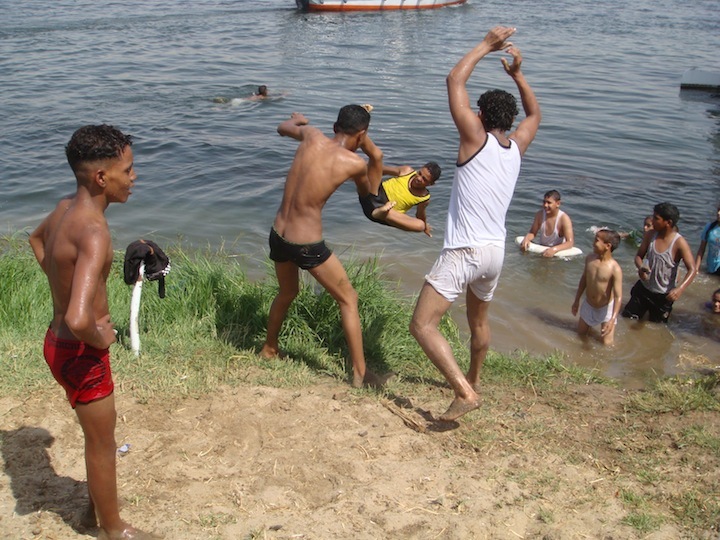 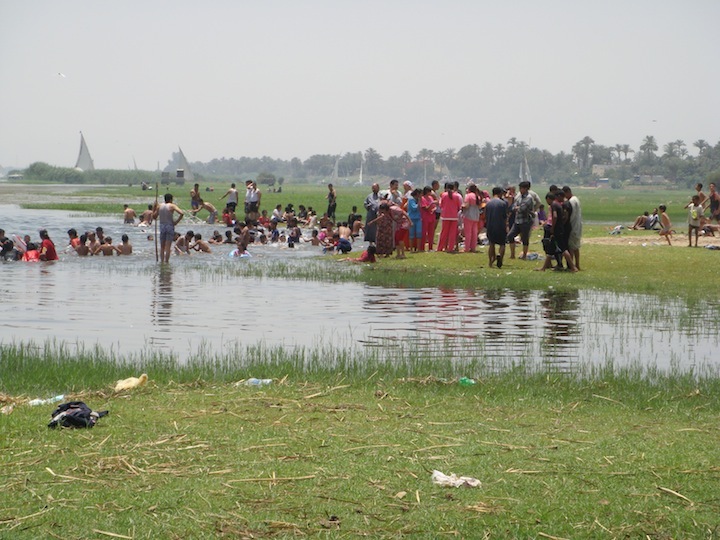 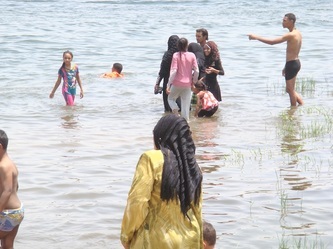 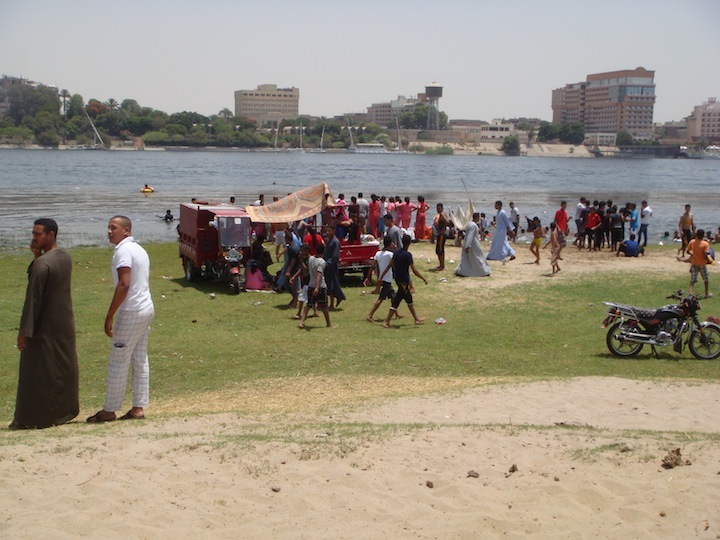 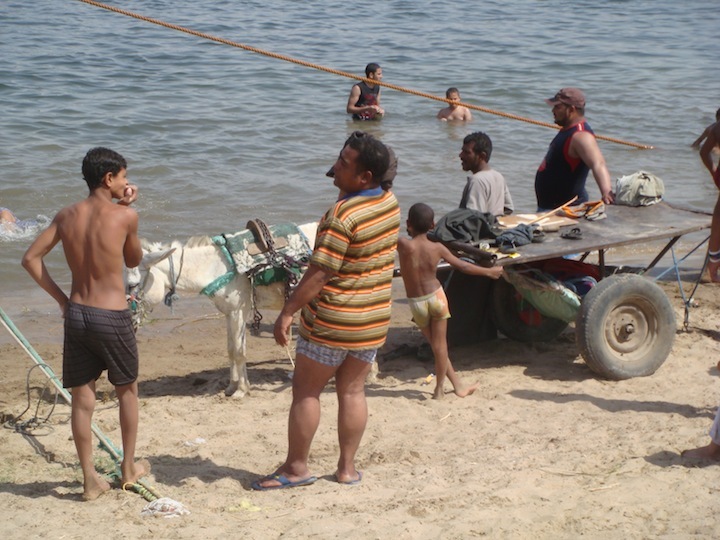 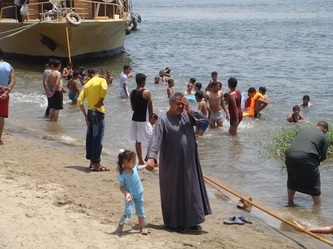 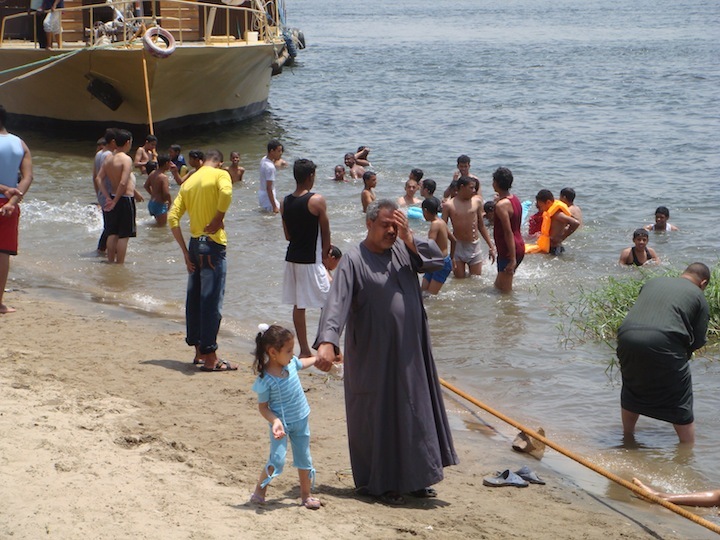 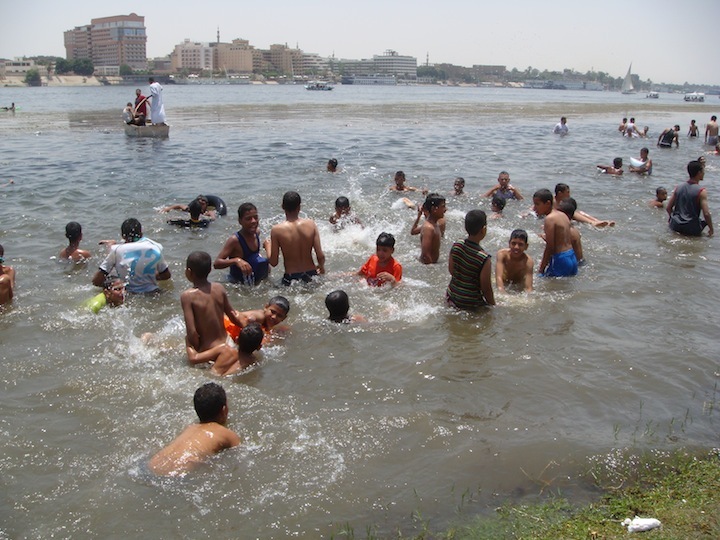 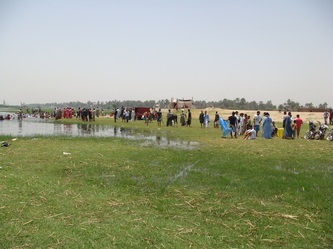 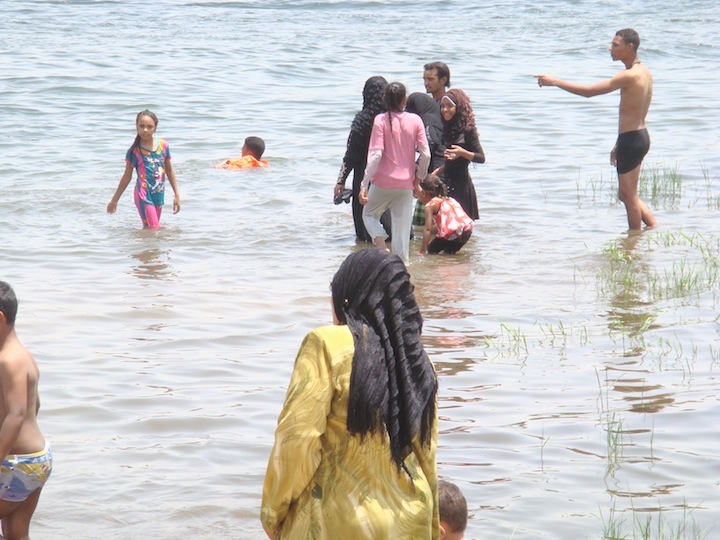 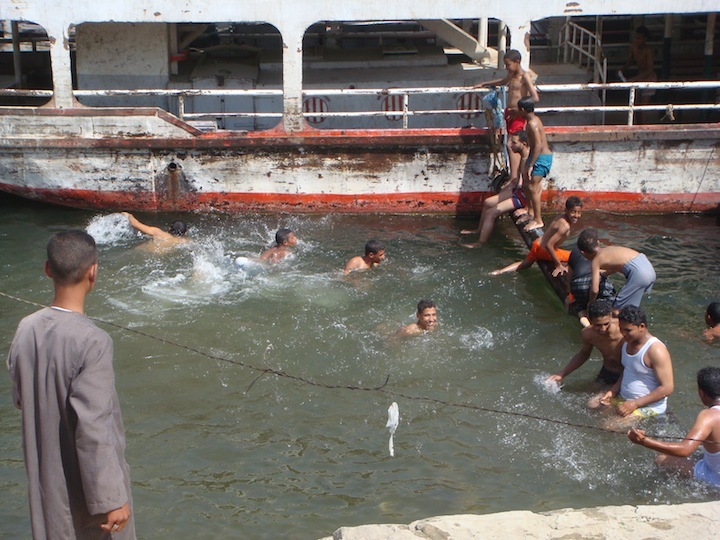 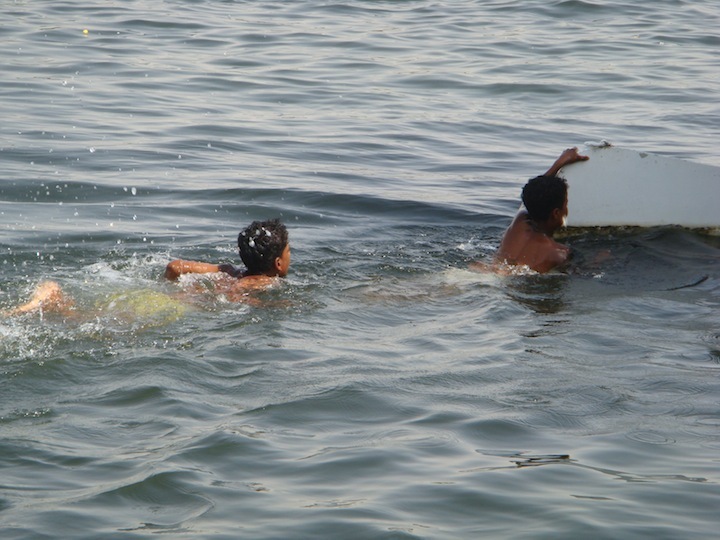 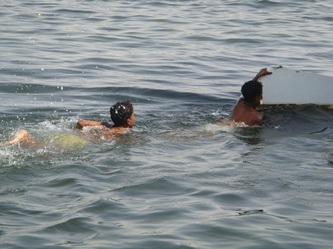 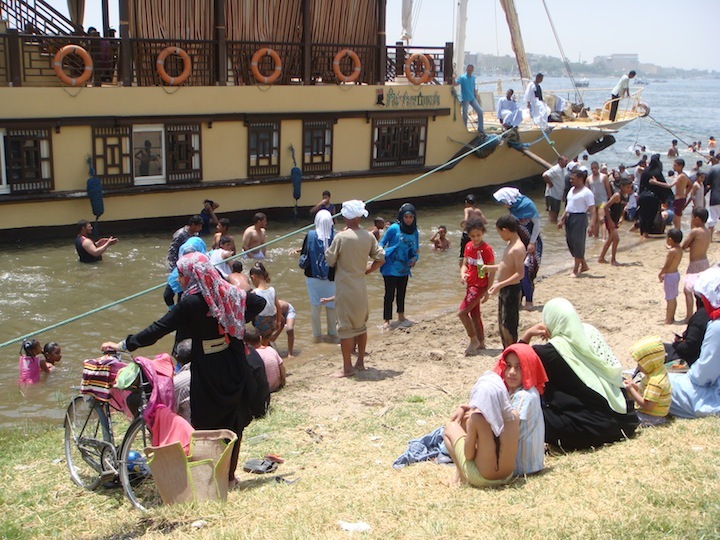 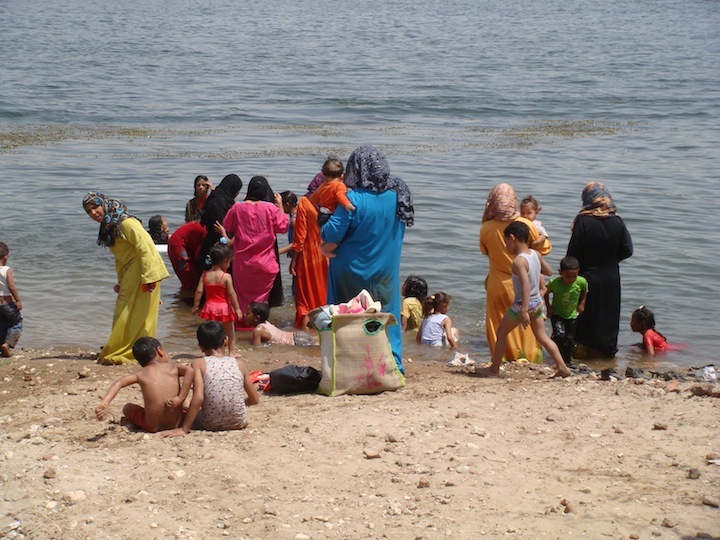 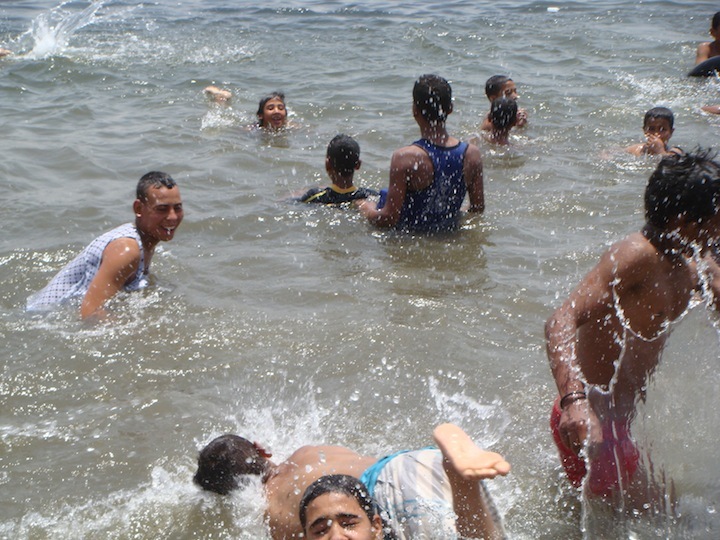 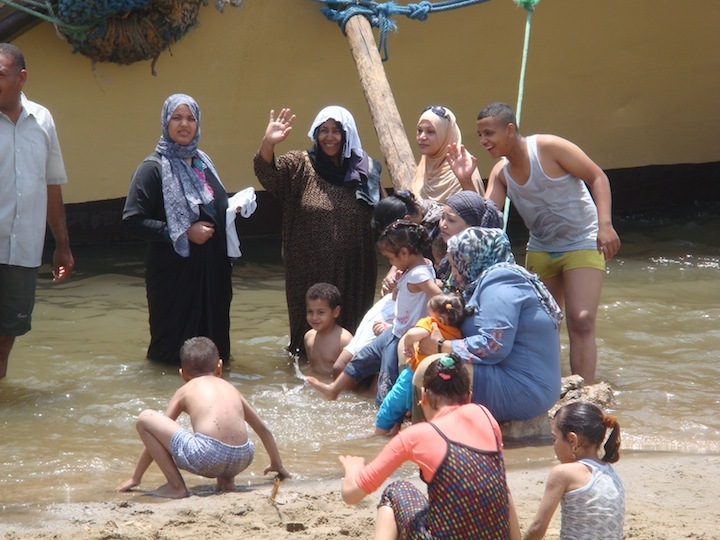 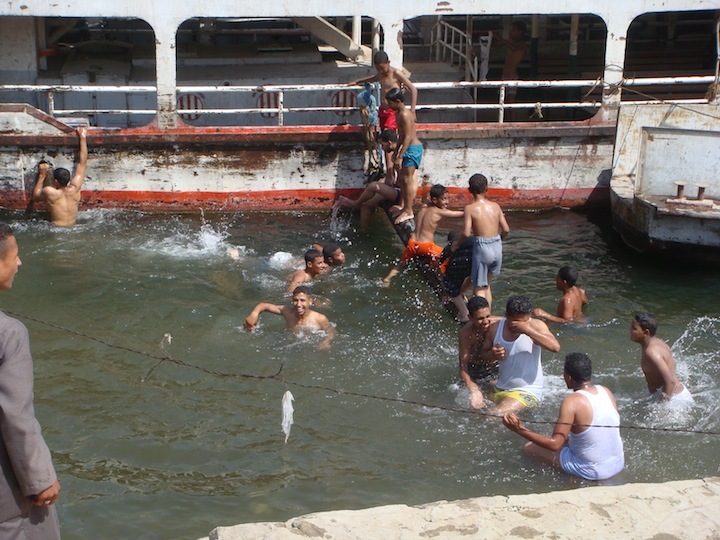 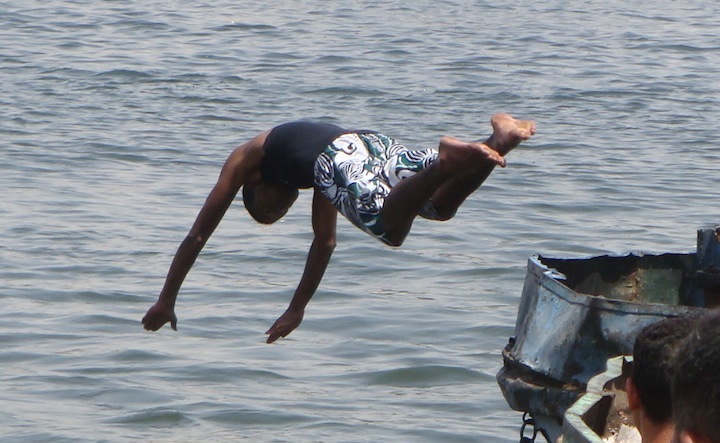 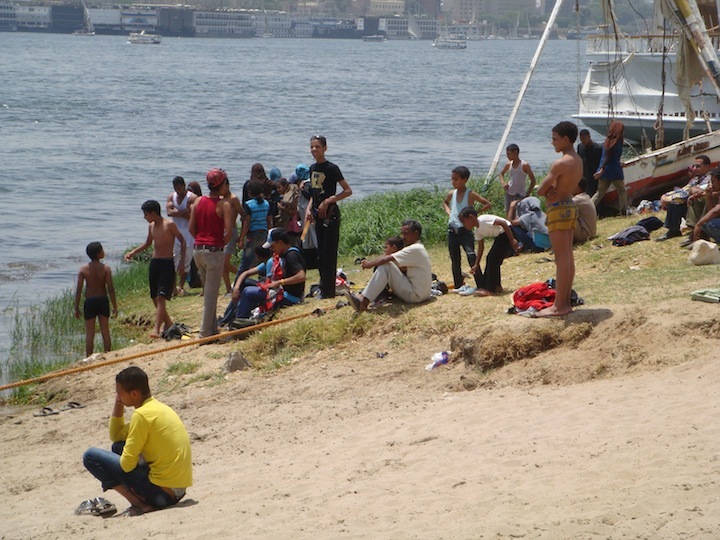 Everyone having a great time Swimming in the Nile, Picnicking, Families gathering by the Nile side and men taking tea at the several places set up along the West Bank of Gazira and Ramla and the usual cafes there. 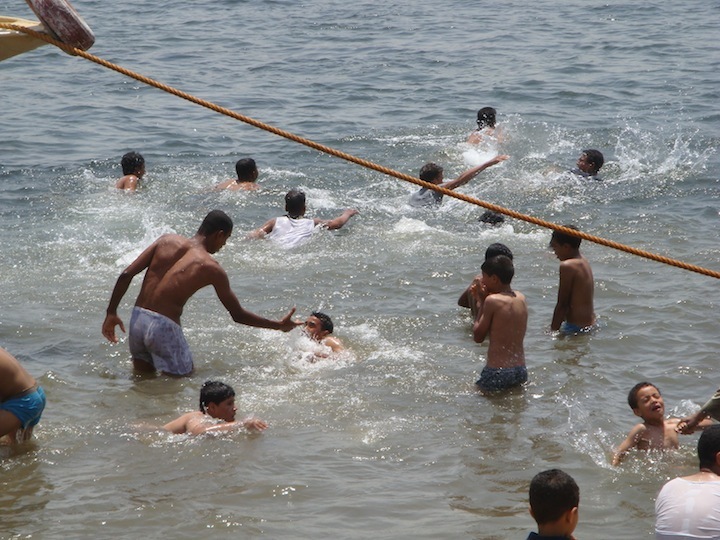 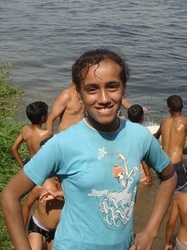 It is a great atmosphere where everyone is very friendly and the water fun is amazing. It is the one time a year that you can see thousands of people come together. It's one of my favourite times. 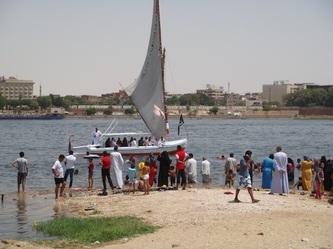 More than a few Egyptian traditions today derive from very ancient times including the holiday known as Sham el Nessim, which may have been celebrated as early as 4,500 years ago. 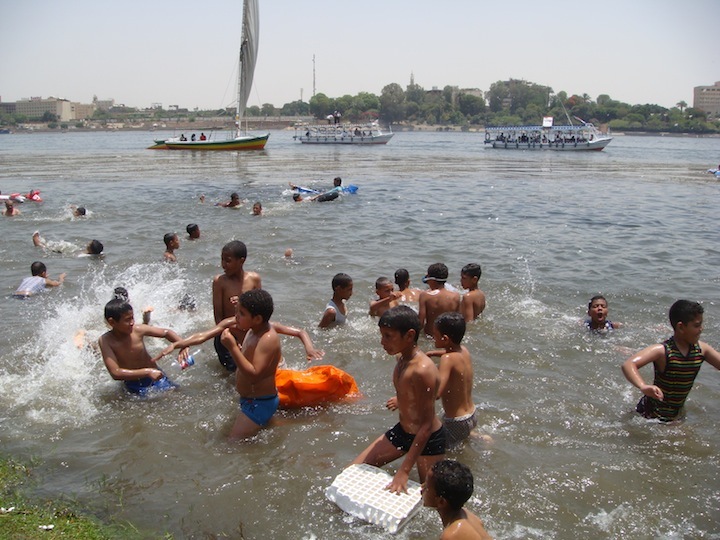 For Egyptians, Sham el Nessim (Sham el Nisseem, Sham el Niseem), literally meaning sniffing the breeze, marks the beginning of the spring. 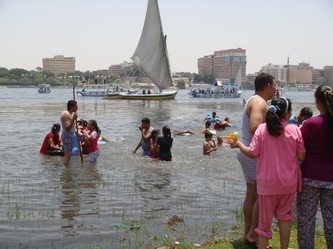 It falls immediately on the first Monday following the Coptic Easter and it was related to agriculture in ancient Egypt which contained fertility rites that were later attached to Christianity and the celebration of Easter. 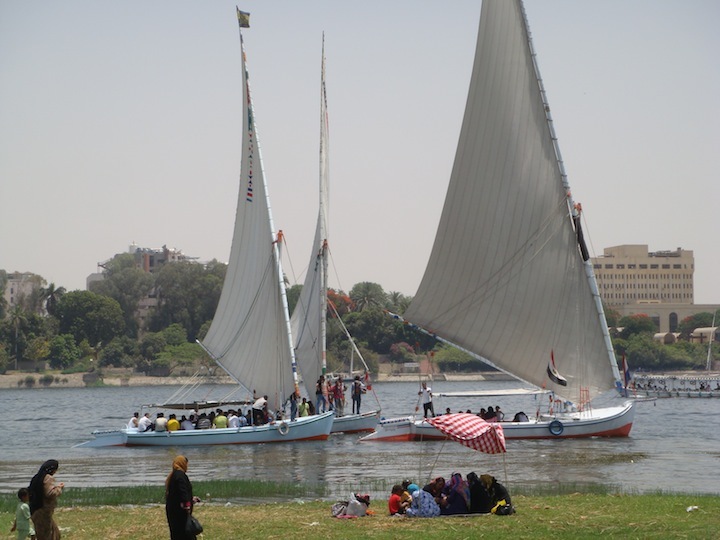 It is believed that the Egyptians were the first to celebrate this occasion. Sham ennisim (shom ennisim) is an Egyptian national holiday making the beginning of spring. 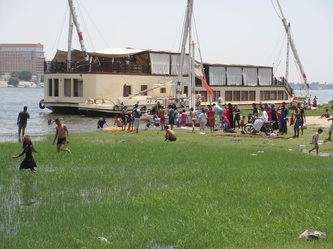 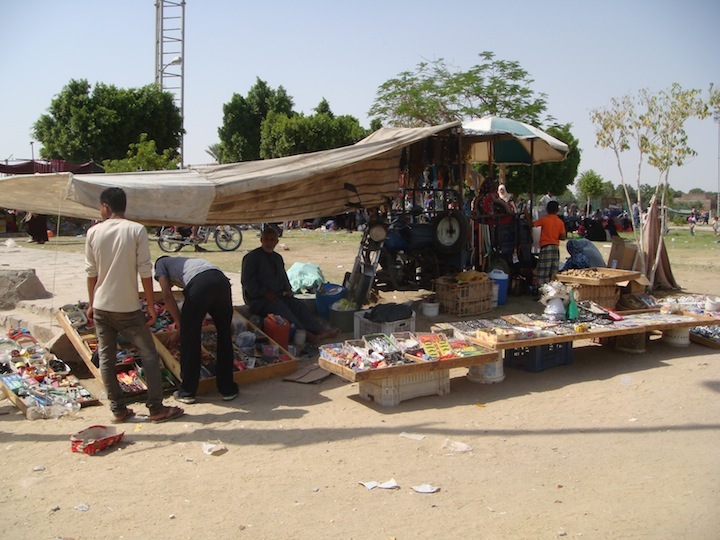 It always falls on the day after the Eastern Christian Easter following the custom of the largest Christian denomination in the country, the Coptic Orthodox Church. 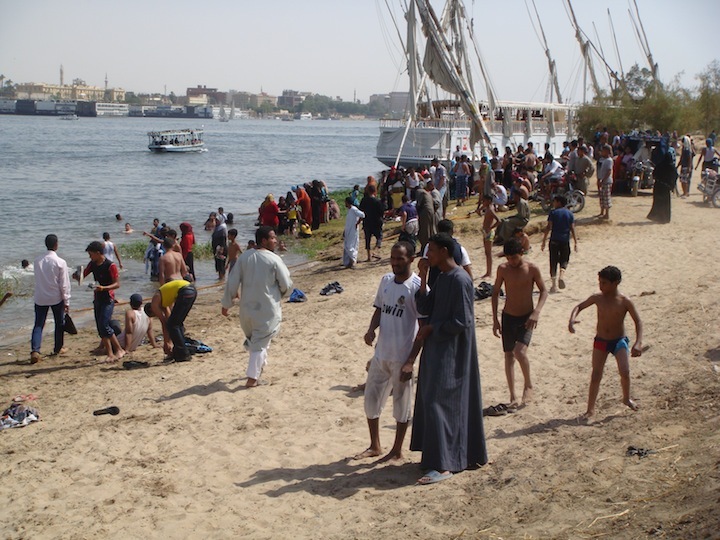 Despite the Christian-related date, the holiday is celebrated by Egyptians regardless of religion. The name of the holiday is derived from the Egyptian name of the Harvest Season, known as Shemu, which means a day of Creation. 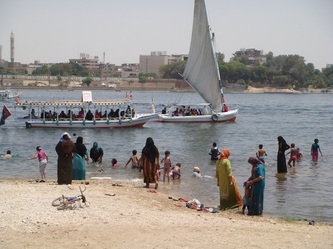 According to annals written by Plutarch during the 1st century AD, the Ancient Egyptians used to offer salted fish, lettuce, and onions to Their Deities on this day. After the Christianization of Egypt, the festival became associated with the other Christian spring festival, Easter. 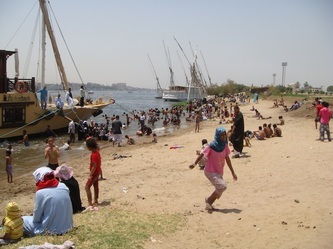 Over time, Shemu morphed into its current form and its current date, and by the time of the Islamic conquest of Egypt, the holiday was settled on Easter Monday. The Islamic Calendar being lunar and thus unfixed relative to the solar year, the date of Sham el-Nessim remained on the Christian-linked date even after most Egyptians had become Muslims. 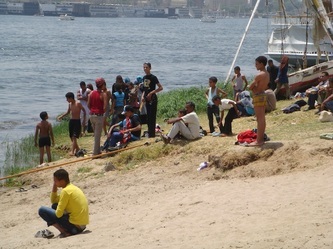 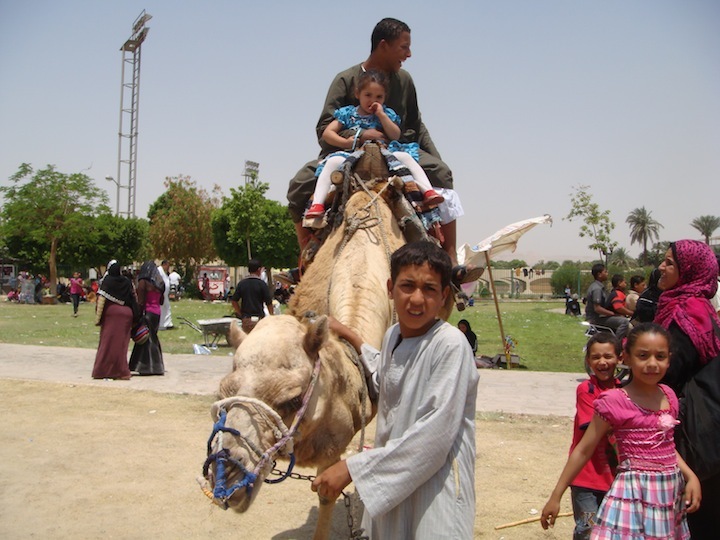 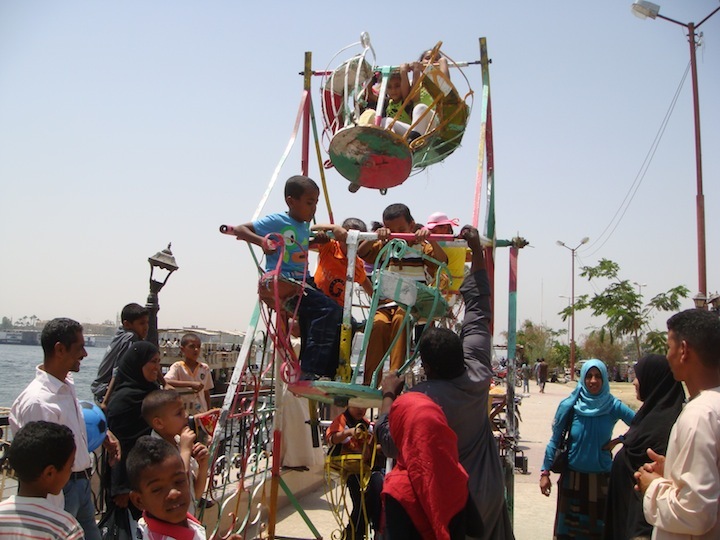 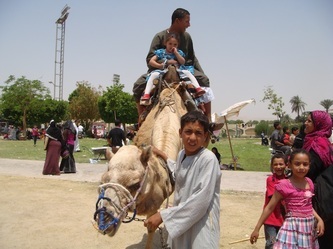 As Egypt became Arabized, the term Shemu found a rough phono-semantic match in Sham el-Nessim, or "Smelling/Taking In of the Zephyrs," which fairly accurately represents the way in which Egyptians celebrate the holiday. 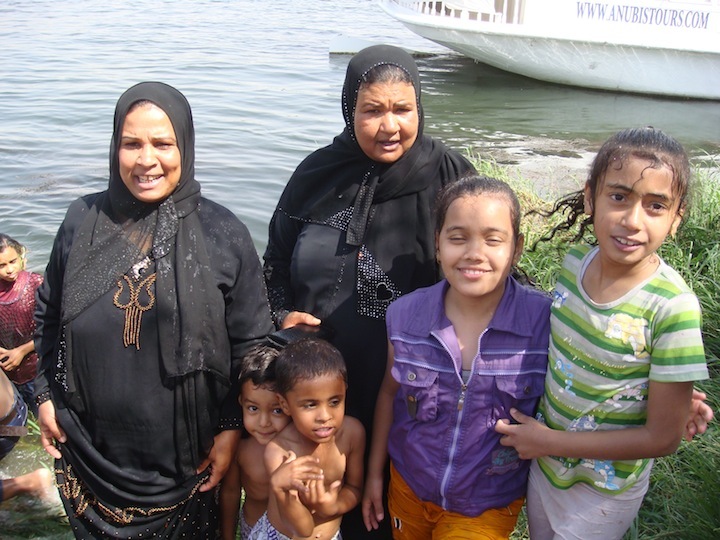 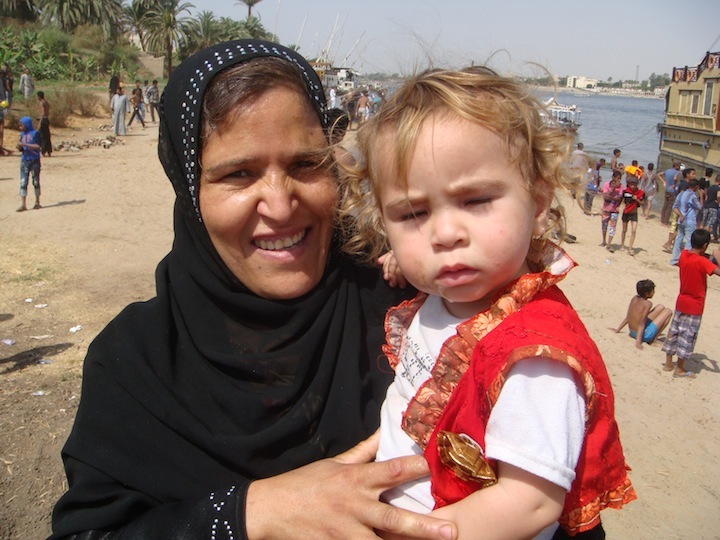 The lady in the middle is the mother of Mamoud who's leg I fixed. 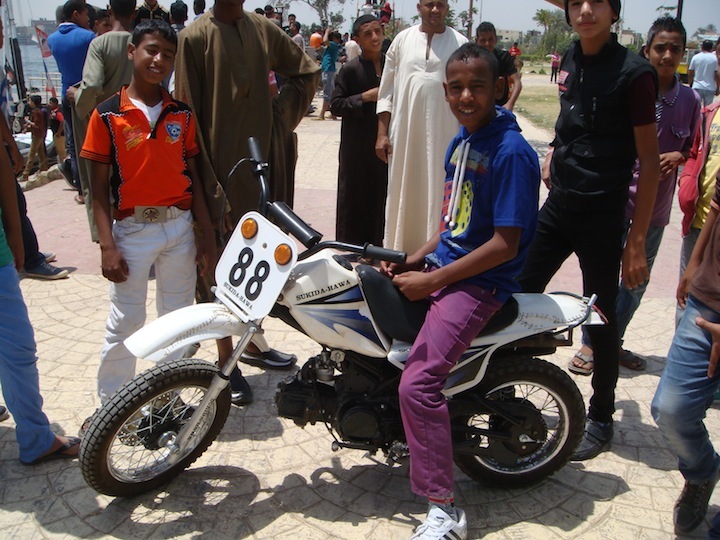 Mahmoud on the right who's leg I fixed and Ali on the left his neighbour.